Fantasy Football is back! This year we see some huge shakeups on the big board when compared to 2015, most notably with Andrew Luck dropping from top 3 to the bottom of the top 32. With an insanely deep WR class, RB1s are at a premium, starting off in LA. No brainer. Best WR in the NFL, with a legitimate QB that can sling it. Don’t overthink this one. Many experts have ODB here. While you can’t go wrong with either, Julio Jones is our pick to be the second best receiver in 2016, for reasons listed below. Eli Manning will continue to put up big numbers in 2016, with his favorite target in ODB. Beckham will be the majority of Eli’s stats, especially given the nagging injuries to Victor Cruz in training camp/preseason. Yet Sterling Shepard, one of our sleeper picks courtesy of BIGPLAY New York writer Jason Leach (@JasonKLeach), should slightly decrease the targets to Beckham, but not enough to warrant a drop out of the top 3. Jared Goff has a lot of learning to do. Jeff Fisher will rely on Gurley to carry his offense all year long. Gurley has #1 overall talent, and should be taken top 5 in every draft. Not far behind Gurley is David Johnson. Bruce Arians has slowly worked Johnson into the featured back role, and will continue to give him the rock as he enters his second season. Arians is notorious for easing rookie RBs into starting roles, and Johnson should flourish in year 2. The once consensus top pick in every draft has finally aged. But don’t tell him that. His stats have not surrendered to father time, and we expect him to continue that trend. No matter who is throwing to Hopkins, he’s going to put up top 5 numbers. Brock Osweiler isn’t a stud QB, but neither was Brian Hoyer. Hopkins over AJ Green here. If we were drafting for the playoffs, AJ Green wouldn’t make the first round. Luckily for Green and Dalton, we draft for the regular season…and Cinci’s top WR will put up huge numbers. Zeke might not be the best rookie RB in the past 10 years, but he’s in the best situation. The Dallas Cowboys have one of the best o-lines in the league, and Elliott has the skills to exceed all expectations. While most mock drafts put Zeke in the top 6-7, we feel that rookie RBs are incredibly risky to take to the bank with your first overall pick. 9 is high when Jimmy Garappolo is throwing the pigskin, but this is a long term play to win your league. Gronk spike. 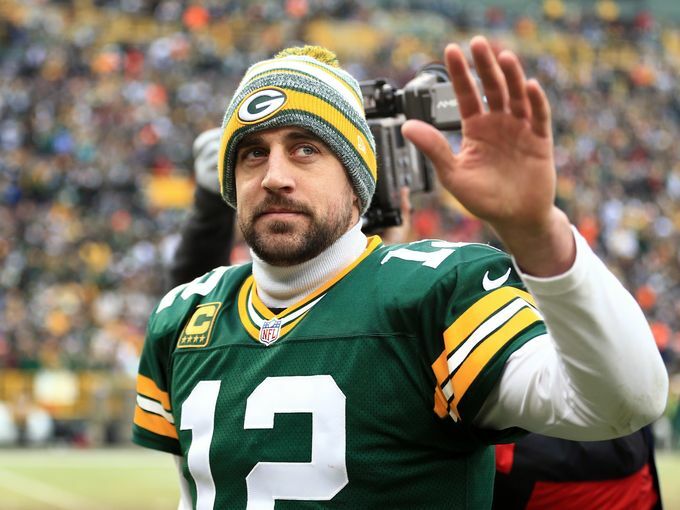 With the return of Jordy Nelson, Aaron Rodgers edges Cam Newton as our top QB. While Cam will probably continue to put up huge numbers (especially with Kelvin Benjamin back), Rodgers has proven as consistent as they come, and we’ll stick with historical numbers with his WR tandem 100% healthy. If you miss out on Rodgers, the only other top tier QB worthy of a first round selection is MVP Cam Newton. While Cam will have intense pressure to follow up his MVP season, we think he will put up comparable numbers. Look for a slight decrease in overall stats, but you can still feel confident building a team around Superman. Today is August 28th. If LeVeon Bell doesn’t miss any further drug tests, we like him at 12. With a reduced suspension, Bell will return to form early in the fantasy season, giving you plenty of big plays to justify this selection. Lamar Miller put up big numbers in his time in Miami (both places). Houston is a much better situation for the balanced back, and he will easily get 15-25 carries per game. Can Miller be the next Arian Foster? Our BIGPLAY Houston writer Fred Davis (@theFreddyD) thinks so. With Tony Romo out indefinitely for being fat (ok, for a broken back), some might be leery to pick up Dez in the top 15. Yet Dak Prescott has shown flashes of greatness in the preseason. 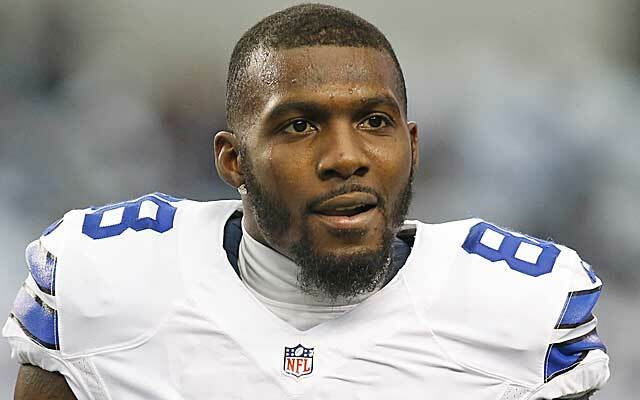 And while it’s preseason, he’s shown enough to warrant a top first rounder in Dez Bryant. Mike Evans has been shredding defenses this preseason. Look for 1-2 big plays per game out of the giant WR, as Jameis Winston continues to improve. The clear number one receiver in Chicago should see plenty of targets from Jay Cutler. 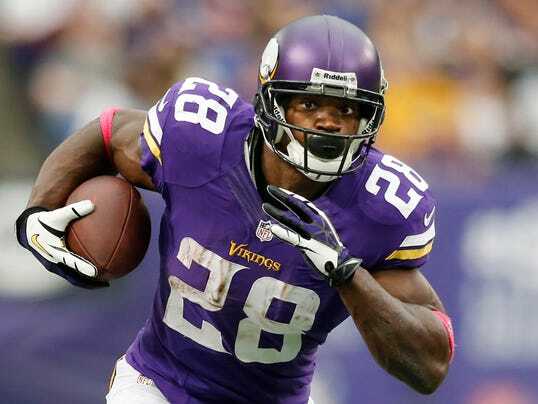 If he can stay healthy, Charles is one of the best RBs in the league. Yet chances are, you’ve drafted him before and he’s sat our a considerable amount of time on your fantasy bench. If you’re a risk taker, he’s easily worth a top 20 pick. Hell, you might have taken him #1 overall last year. Blake Bortles is a few years away from being a top tier QB. Allen Robinson is helping him get there. The two have developed a strong chemistry that will translate into the 2016 season. Does Drew Brees still have enough in the tank to lead New Orleans to the playoffs? Who cares, it’s fantasy! And Brandin Cooks will destroy defenses week in and week out, even if father time has caught up to Brees. Last year’s surprise stud should have another solid year in Atlanta’s balanced offensive attack. No reason for him to drop out of the top 20, even with a lackluster ending to the 2015 season. Brandon Marshall would be higher in a PPR league, but in standard scoring he falls out of the top 20. Fitz and Marshall should continue their success from last year, making Marshall a solid WR1 if you go RB with your first selection. Shady McCoy will continue to prosper alongside Tyrod Taylor. The Bills offense is explosive, and McCoy and Sammy Watkins are the driving forces behind it. Can Jordy Nelson stay healthy? If so, taking Rodgers and Nelson together is absolute dynamite. Nelson is going to have a big year full of big plays. Buffalo’s top target in 2015 will be solid once again if he can stay healthy. Carson Palmer AKA Benjamin Button will find Fitz for big plays every single game. You would be lucky to have him on your top WR1 WR2 roster. 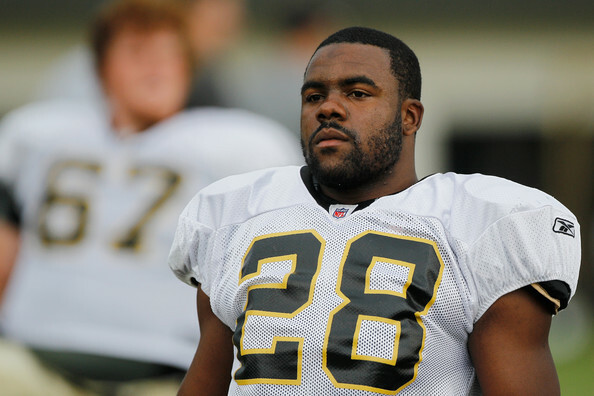 While Mark Ingram is not a flashy runner, he’s consistent. If you’ve held him in year’s past, you know that he provides points game in and game out. Easy pick, especially with Carlos Hyde falling due to a preseason concussion. Philip Rivers and Keenan Allen will return to form in 2016. Not a bad late round pickup for a top WR spot. Amari Cooper is higher in many mock drafts. And while he’s incredible, he’s still inconsistent. Michael Crabtree had similar numbers throughout the second half of 2015, which might happen once again. Cooper is definitely a solid pickup, but don’t bank on 20 point performances on a weekly basis. Who the hell is going to throw the ball to Demaryius? Who cares! Thomas is legit, and if you can pick him up this late, he will reward you with TDs. An undervalued member of the Raiders up and coming offense, Murray should have yet another strong year. CJ Anderson was a top 10 pick last year. Look for him to bounce back, especially given Denver’s awful QB situation. CJ will get more carries than hne did last year. You made the top 32! Congrats, Andrew! 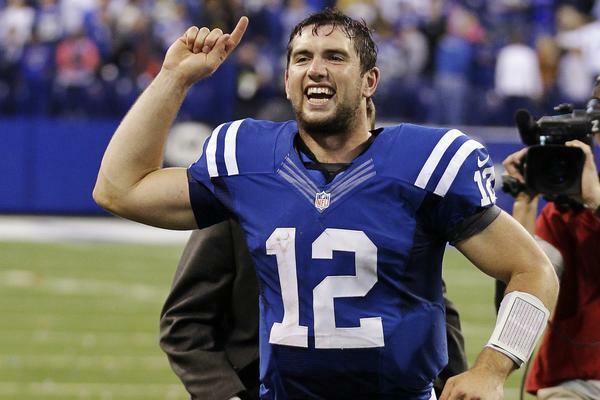 Snagging Luck here isn’t a bad idea given his potential. He has the skill set to match Newton and Rodgers in points each week. Join us on Twitter @BIGPLAYcom to take part in our BIGPLAY Twitter follower mock draft, which we will be posting over the next few days.